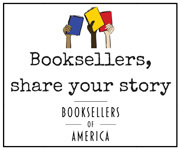 Please complete the bookstore profile so that ABA can continue to offer relevant programs, services and benefits to its members. The store description you provide in the last field below will be used for trade and consumer online directories; be as inclusive and detailed as possible. Changes require three (3) business days to take effect. To add information for multiple locations, or if you have any questions, please contact your Member Relationship Manager.